Fourways Engineering specialize in ‘Z’ Cars with over 40 years experience of Datsun 240Z, 260Z, 280ZX historic motorsport preperation. 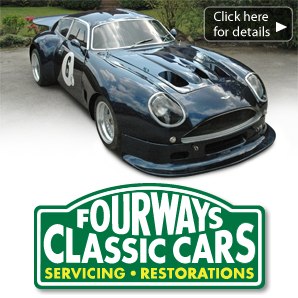 Fourways Engineering’s founder, Geoff Jackson, raced and rallied in many different cars over the years. Datsun 240Z race car was built and prepared by Fourways Engineering. 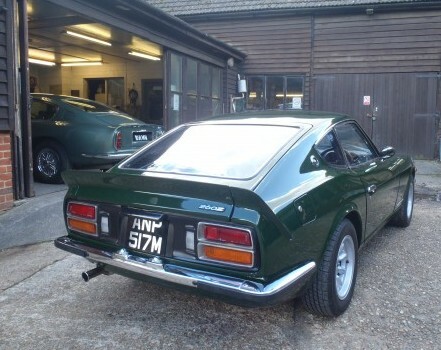 Fourways Engineering build FIA specification Datsun 240z rally car. Fourways founder Geoff Jackson with his 240Z at the Crystal Palace Sprint. Reprofiled cams, Stainless Steel performance exhausts, triple weber & fuel injector set ups, adjustable suspension struts, lowered springs, ventilated brake kits, close ratio gearboxes, limited slip diffs, modified front spoiler and Fibreglass bodypanels, Carpets sets tailor made.